I'm actually not super into Pete the Cat, but I work with a kid who likes the new show as well as dinosaurs so I figured this one would be worth picking up. While not as "groovy" as some of the previous books, I enjoyed this one overall. The pictures were cute and I liked the easy-going story. I also liked that the updated dino names were used (Apatosaurus, Pterosaur). It was a nice blending of a beloved character with dinosaurs, a topic that is so popular with young readers. The story itself is pretty laid back. Problems arise, but by staying calm, solutions are reached. It was actually pretty soothing. Obviously, the story isn't very accurate. All of those dinosaurs weren't necessarily around at the same time or even in the same place. And there definitely weren't housecats around. But there is also a talking cat and carnivores eating salad, so I mean, it's not the biggest deal in the world. It's a cute Pete the Cat book with a nice simple story focusing on friendship. Overall, I enjoyed this one. Pete the Cat is too cool! 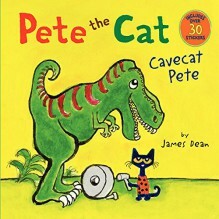 Pete the Cat books are great for young readers because they are simple to read and have songs to accompany them. Students will love watching the Rocking in My School Shoes cartoon and singing along to the music. Students could also create their own school shoes, this will encourage students to express their creativity and integrate art into the lesson. https://youtu.be/PtjJWgIlkok Pete the Cat Cartoon. Pete the Cat is Rockin' in his school shoes. He loves his new shoes and he wears them every where. To the lunch room, the library, and even the cafeteria. No matter where he goes at school he always sings his songs about his school shoes. I would use this book to encourage new students to like school. All kids will be nervous on their first day of school. Reading this book and showing them how much fun it can be, even if just having new shoes encourages you, with meeting new friends and going new places. We would use this as an encouragement for every student. We would also use this book to learn new sight words. 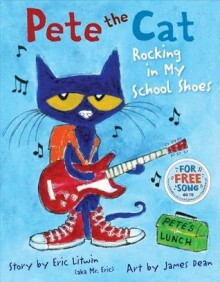 Pete the Cat: Rocking in My School Shoes written by Eric Litwin is one of the many books in the Pete the Cat collection. 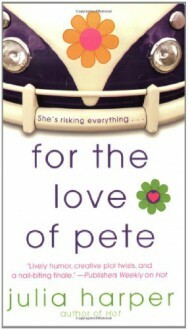 In this novel, Pete discovers the library, the lunch room, the playground, and lots of other cool places at school. And no matter where he goes, Pete never stops moving and grooving and singing his song, because "it's all good". discussion about new experiences and going to new places for the first time. Talk about how children feel when they go to new places. Then, discuss how Pete handles each new area he encounters at school. Review each of the places at school that Pete visits (library, lunchroom, play ground) and discuss additional places at school where children might go (gym, art room, music room, office etc.). Follow up the sitting and listening time with an activity that gets children walking, playing, and/or rocking in their school shoes.